On July 10 2008, Riverkeeper served notice of its intent to sue Lehigh Cement Company for ongoing violations of the federal Clean Water Act (CWA) and Resource Conservation and Recovery Act (RCRA) at the company’s Catskill, NY facility on July 10. A 2006 helicopter patrol of the Hudson River revealed three gold colored ponds adjacent to the Hudson on Lehigh’s property and sparked Riverkeeper’s investigation into the facility. 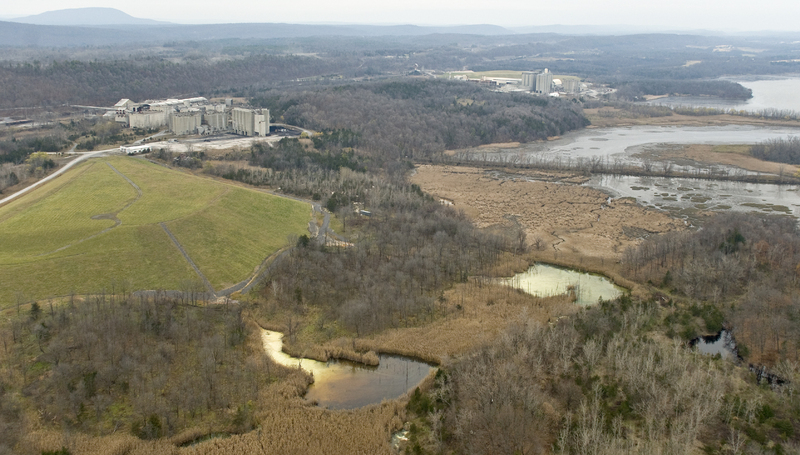 The investigation revealed that leachate from Lehigh’s landfill, containing pollutants such as antimony, arsenic, barium, lead, chromium and mercury, flows into the ponds and dumps directly into wetlands and the Hudson River. Elevated pH levels in and around Lehigh’s ponds and wetlands are toxic to fish and approach the Environmental Protection Agency’s threshold for corrosive hazardous wastes.